KIALOA ‘Elele Cyril Burguiere has a passion for paddling. He’s definitely not limited to rivers and oceans in his pursuit of high end training and speed – this busy guy trains whenever and wherever the path leads. 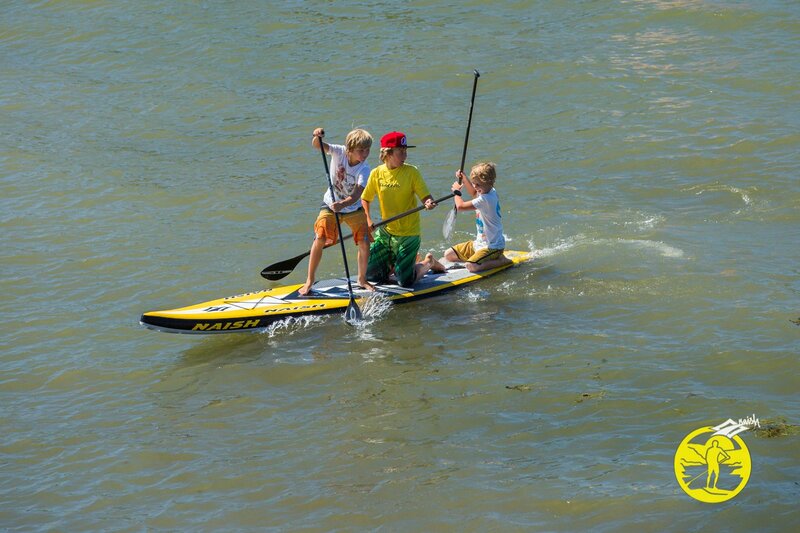 At best, I dabble at SUP racing. I like to paddle hard, go as fast as I can and refine my technique with help from my friends – and awesome YouTube videos from the pros. 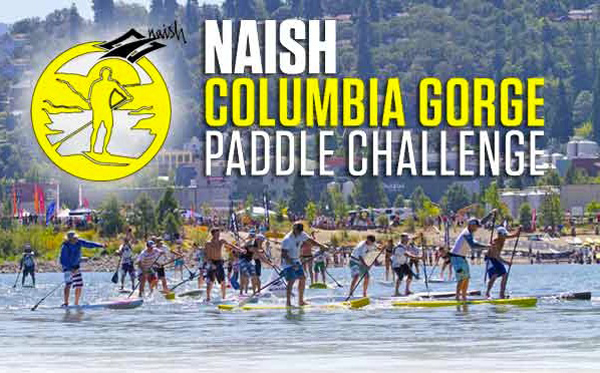 Over the summer of 2013 I had the opportunity to participate in the Nasih Columbia Gorge Paddle Challenge, to take a down wind clinic with Big Winds and Jeremy Riggs, to head over to Maui for the Olukai Ho’olaule’a and to complete a bucket list experience at Battle of the Paddle. In all that time I hadn’t committed to buying a race board. 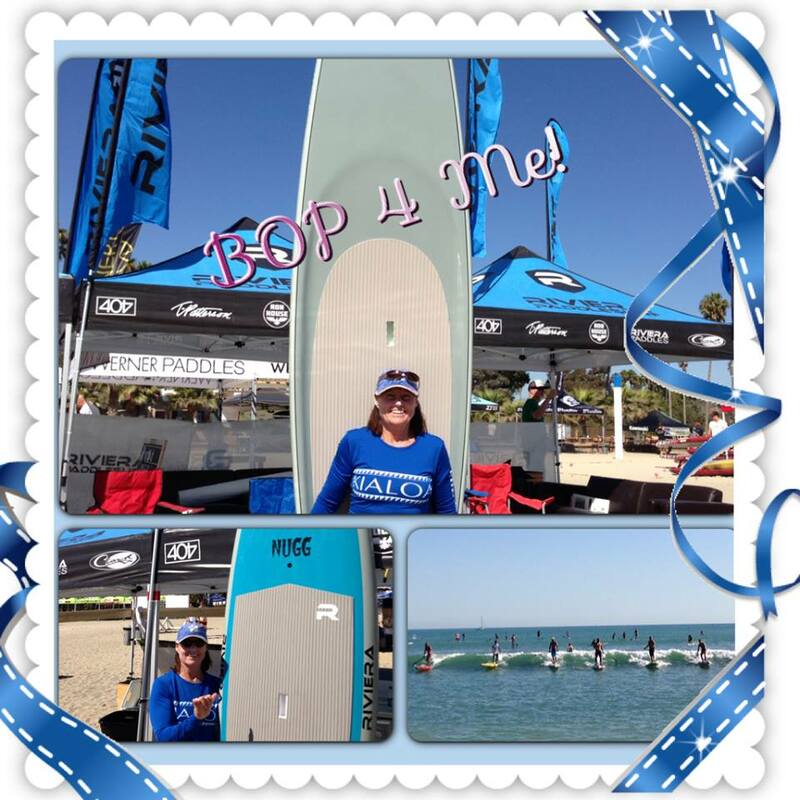 Over the summer I began to follow the development of the one-design SUP class called N1SCO. It was the answer to the confusing dilemma of what board to buy – for my interest, for my budget, for the best opportunity to be competitive among paddlers all on the same board. The more I followed Facebook, blog and Twitter posts about the various N1SCO events happening all over the globe, I noticed something else. The “fun-factor” was an integral part of each event. Elite racers had their level of racing challenge in both long and short distances – but all levels were in the game and having a blast. 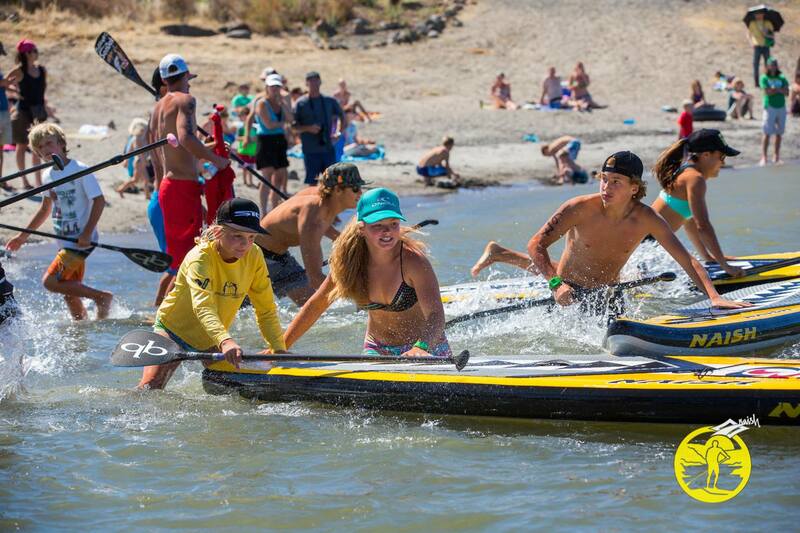 The new Naish ONE race formats are exciting, accessible, simple to set up and fun! All disciplines are easy to follow for spectators, the action is right there in front of everyone and it is thrilling to watch. 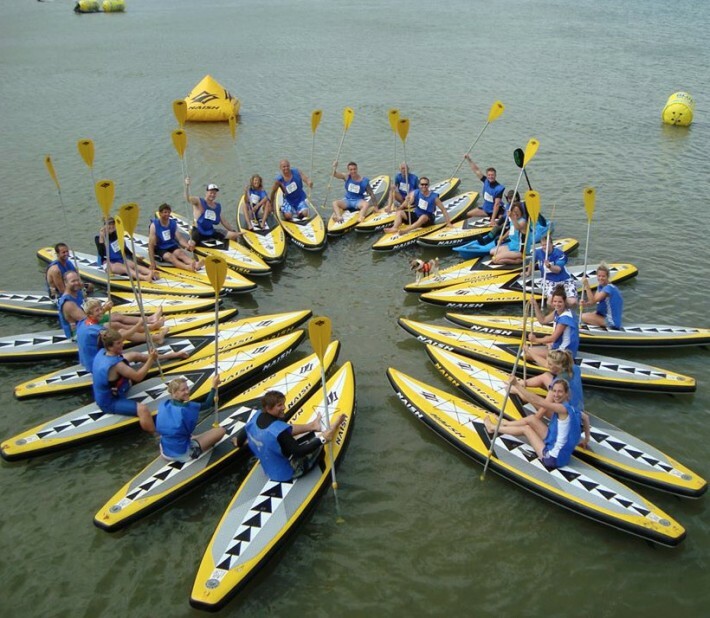 There’s something for everyone, non-stop action on the water and events can happen in a day. When I had the chance to witness the crazy fun of the N1SCO relay format I was hooked! Elite racers team with kids, with a super mix of skill and gender. Laughs, splashes and camaraderie connect everyone – racers and spectators alike. There was no question. When I had the chance to head to Las Vegas for the N1SCO World Championships off I went. The video below shows some of the highlights from my perspective – everyone had a chance for their own good time. Over the next months there will be more and more N1SCO events popping up at yacht and sailing clubs, at colleges and within communities. 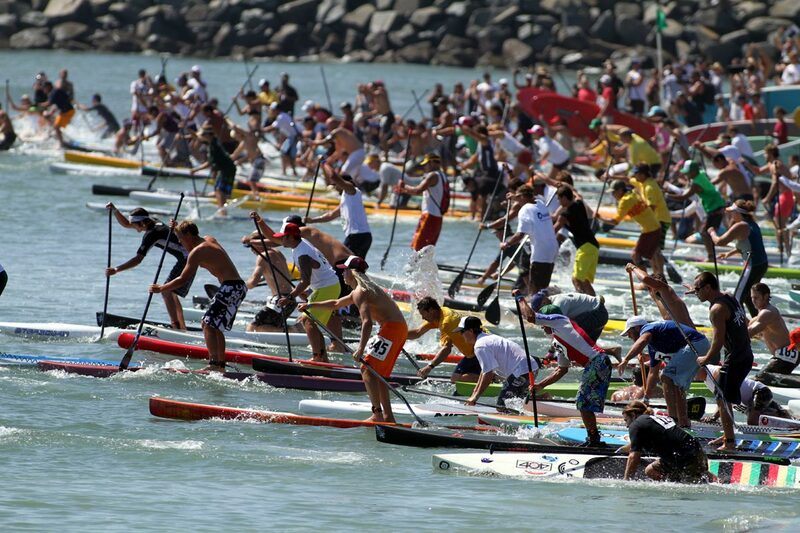 be sure to take advantage of a super trend in SUP racing. There was a moment during the 2013 Battle of the Paddle that will probably remain etched in my memory for a very long time. We were all packed like sardines 4-5 levels deep, shoulder to shoulder with our boards in hand. There were 400+ of us all waiting to hear the horn for “GO!” The sky was clear, the sun was warm and the set that was rolling in was waist high and beautiful. I felt the sand under my bare feet and the light weight of my KIALOA Hulu paddle in my hand. That paddle and I had hundreds of hours and many, many miles of paddling together. We had surfed gnarly Pacific City in cold, chaotic waves. We’d gone up and down the Deschutes rRver through town and around High Cascade lakes all summer long. For several years I’d dreamed of being in that spot – at the start of the BOP. The stars had aligned and here I was! The usual pre-race butterflies simply didn’t hit me – I was super-charged with energy and happiness just being in the midst of so many people prepared to do a pretty challenging event. There was a possibility of a wave set hitting us all at the Hammer buoy turn, sort of like we had just seen with the elite paddlers . Whatever, I was ready! To most, Battle of the Paddle is the race of the year. 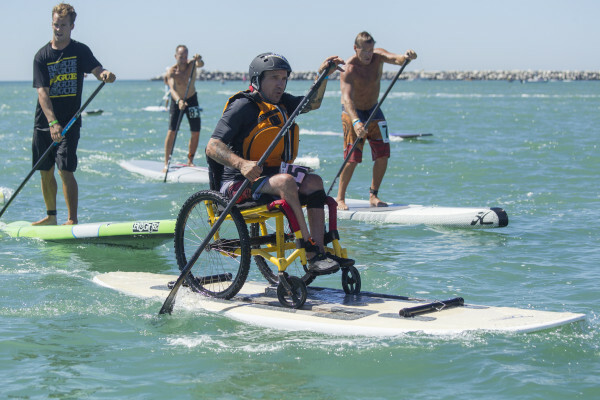 People flock to Dana Point, California to participate and watch the carnage of the elite race and to witness the top athletes of standup paddling battle it out. 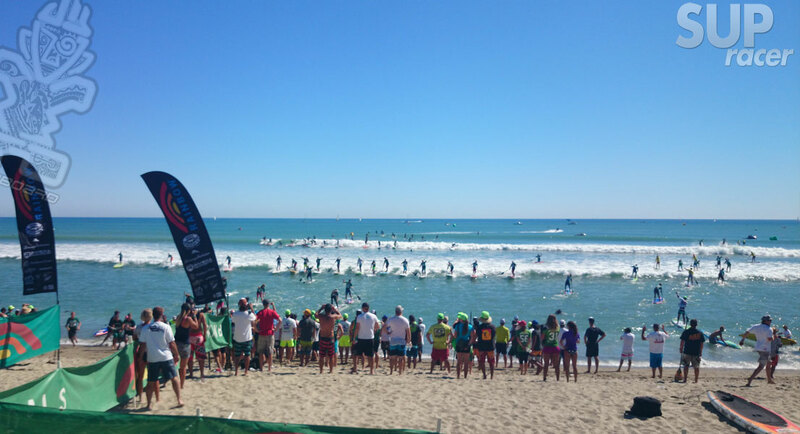 The event itself is one of the largest SUP races in the world with over 450 open competitors and close to 200 elite competitors. For me, it was a “bucket list” dream come true. Suddenly the horn sounded and we were off! People were bumping boards, falling off, and running into each other. It was mayhem! I got hit from behind. I was being drafted by a guy who later told me he drafted me the entire race. That was cool since he was about 20 years younger. Did he realize he was drafting Granny? (LOL). I didn’t fall and somehow paddled up and over a few waves with a clear shot to the first buoy. That first turn was sketchy with people crowding and falling. I took a wide line far from the buoy and made a clean turn – the race was ON! People were unbelievably friendly, apologizing for bumps, making way at buoys and generally chatting and laughing. Parents and kids on separate boards were using the event for a truly great shared experience. They were giving guidance, confidence and support when things got tough on the upwind and side chop legs. Time sped by, as did the 4.08 miles – too fast. I was savoring every moment from the feel of the waves breaking over my feet, to the pounding of my heart as I paddled hard, and the wonderful salty air and sunshine. 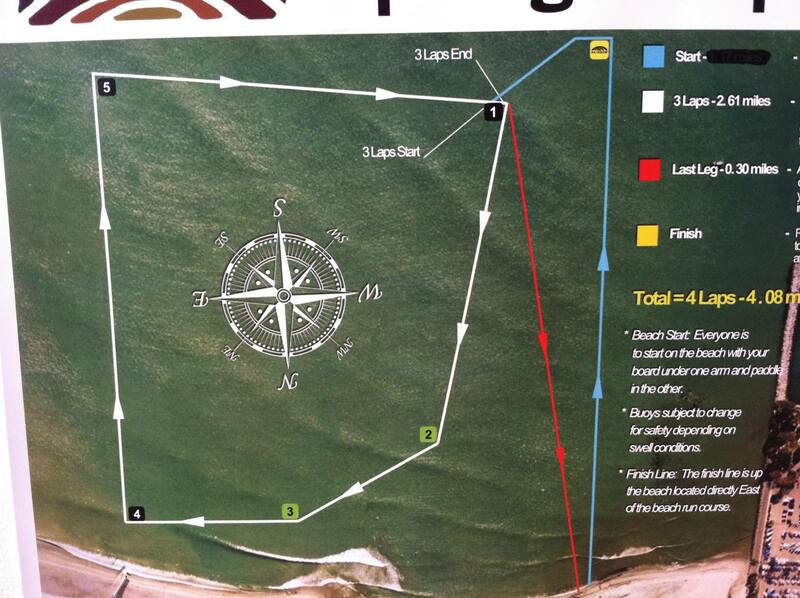 Before I knew it I was rounding buoy #1 for the last time and it was time for the sprint for the shore. I was shoulder to shoulder with another paddler and we were both giving it our all. A few hundred yards from shore a set came in and we both felt the first wave billow under our boards. 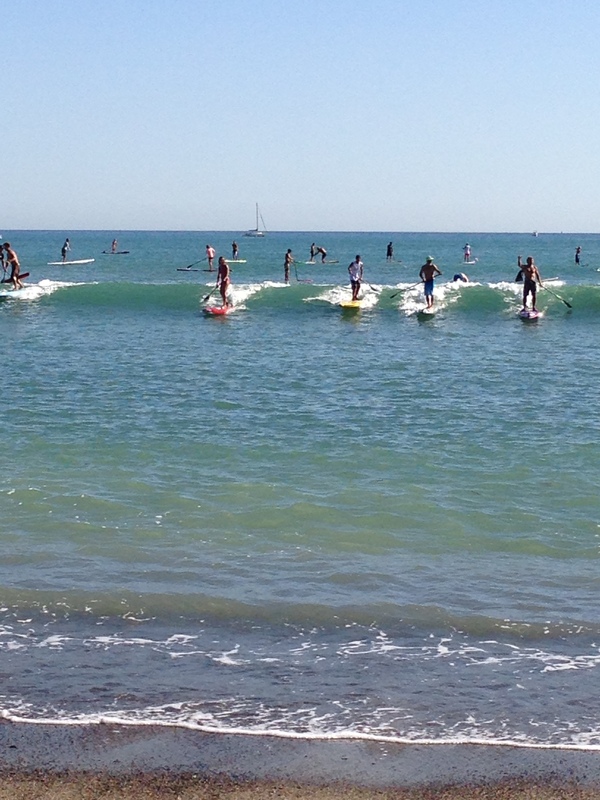 We were ready as the second wave came up we paddled like crazy – I got it! What exhilaration to be propelled with a glassy wave all the way to the shore – holy cow! A quick back step at the shore break allowed the wave to flow under my board, then it was JUMP ON THE BEACH – LEAVE THE BOARD, KEEP THE PADDLE AND RUN TO THE FINISH! Too soon it was over. But the epic adventure was just starting for the elite racers. With the OPEN class completed it was time for the elite finals. Spectators stood spellbound as the elite women, in their separate start, showed us what they were made of. It was absolute athleticism and SUP thrills. The elite men came next. If you haven’t followed the many videos and photos of that event Google it now! Kai Lenny, Connor Baxter, Danny Ching and every competitor gave us a show to remember. 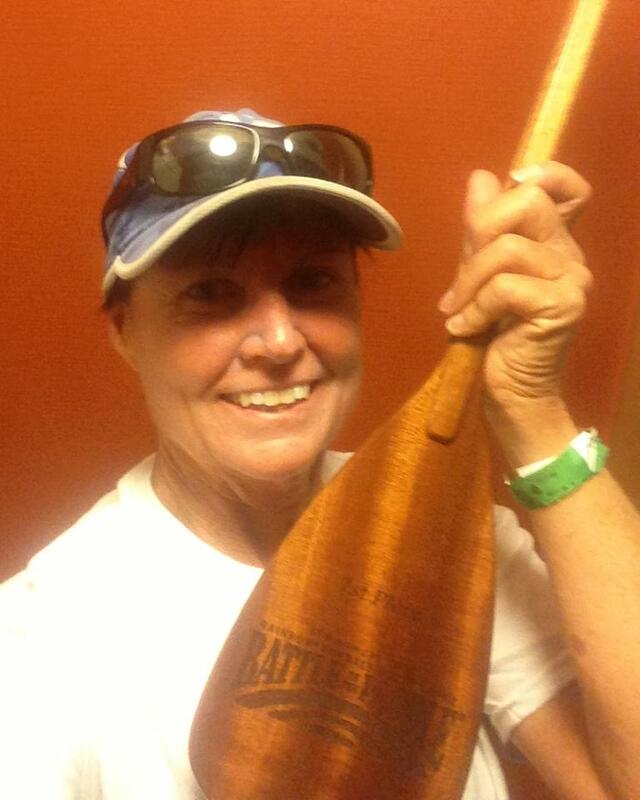 At the awards ceremony I received a beautiful wooden paddle as a 1st Place trophy for my age group. I finished somewhere in the top 70% of racers – with about 300 in front of my finish and about 140 behind. 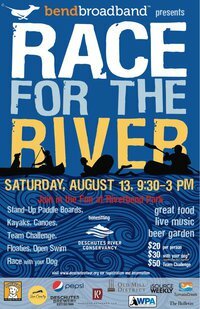 I was fortunate to spot an e-mail from Riviera Paddlesurf a few weeks before the 2013 Battle of the Paddle – there were Ron House race boards to rent. It wasn’t 30 seconds later that I had downloaded the rental form and e-mailed the contact person. I’d been wanting to participate in BOP since I heard of it years ago – and suddenly all the pieces were falling into place. The Riviera Paddlesurf stoke began with the first enthusiastic words of greeting from Mike Baker who had promptly contacted me . “Hey, ” he said with energy, “you’re number one on the rental list, what would you like?” And it only got better from there. Riviera is a key sponsor for BOP and they take that role seriously. 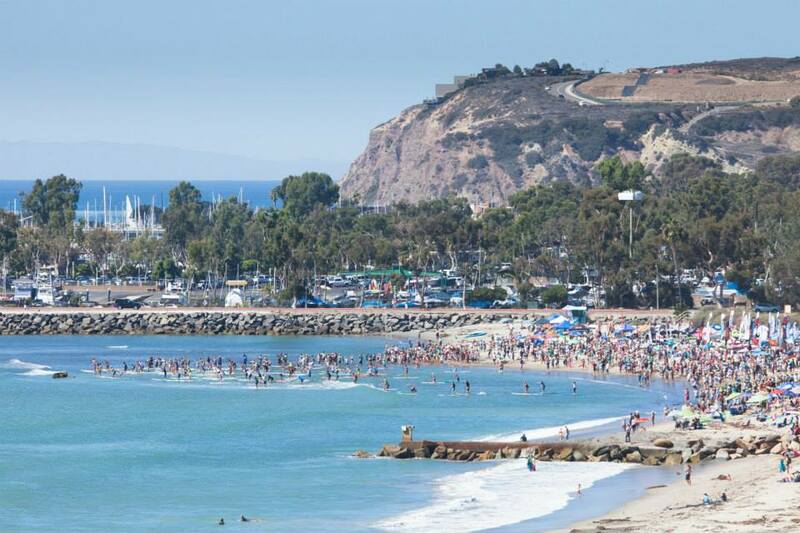 Riviera Paddlesurf was born in Southern California back in 2007 and grew from a family’s love of SUP surfing. 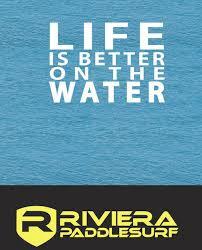 Riviera Paddlesurf, still family owned and operated, inspires people to live adventure-filled, healthy lifestyles. That type of lifestyle isn’t geared for just their customers. 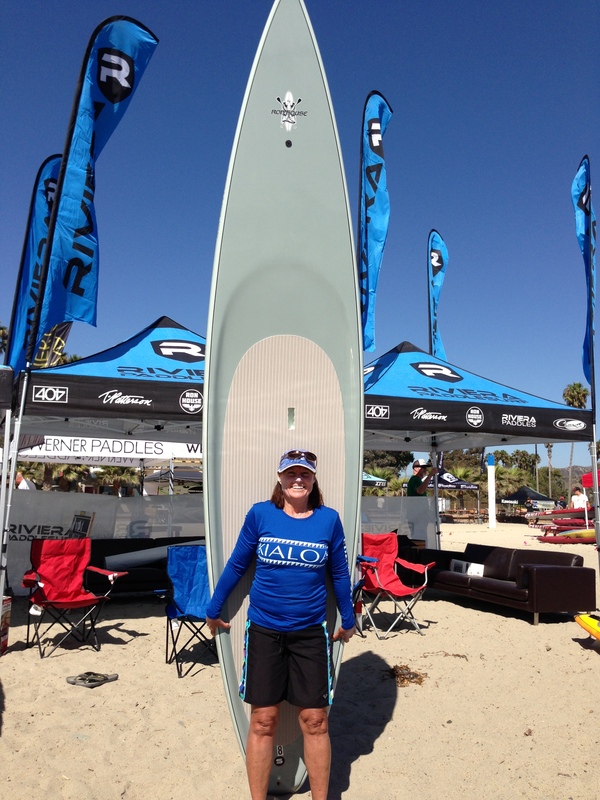 After hanging around the Team in the series of Riviera vendor tents at Battle of the Paddle I noticed a true connection with the ocean, aloha and SUP. Over the course of each day they’d take turns on short breaks, grabbing a board and a paddle and hitting the waves. Not only that, when customers had a demo board out (particularly when it was “The Door“) every good ride or tricky move brought oohs, aaahs and a cheer from the team on land – hard at work. I should say that they worked long and hard. They were at the beach setting up at 7 am. Then at 6 PM when most vendors had shut down for the evening, the Riviera team was still there being available for last minute demos, to talk-story and to share expertise. My entire BOP experience was stellar, but made even more so by connecting with the Riviera team. I carried the board down the beach and paddled out toward the ocean-yellow buoy to warm up. Smooth and stable came to mind. It glided effortlessly through the water seemingly oblivious to side chop and bumps – that was comforting! I started to be a bit more aggressive, doing some tail turns and then heading for the break. The waves were waist to mid-chest high and came in predictable sets – nothing like the gnarly Oregon coast I’m used to. 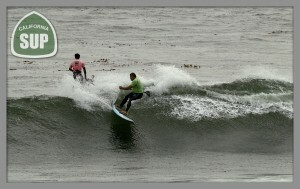 I turned to take my first wave – and that Ron House board caught it easily. I came back from a slight right to aim straight for the beach – gaining speed! Would I be able to get back on the tail in order to let the wave slide under me at the shore break? Holy cow – YES! It was a terrific surf session with a few miles of paddling beyond the break. I was ready for the OPEN course – and eager. Back on the beach Mike was there to check out how it went. Tough to hide how thrilled I was. There were so many “bucket list” firsts on race day it’s hard to recount them here (see short video below). The start=awesome. The crowds, the chaos as we leaped from beach to board and the choppy turbulence as we headed out to the first buoy. I haven’t been in a race where i got into my rhythm so easily. The upwind leg done three times was the hardest for me, although many people were challenged by the next leg with wind at the quarter and side chop. It was incredible to hear the chatter, observe amazing sportsmanship at the buoy turns and the woohoos toward the final sprint to the beach as we caught waves for that last bit. One of the Riviera team was right there at the beach to grab my board and point me in the right direction for the final little run. He can’t know how much that care of both the board and simply being there for me meant at that stage. What a first class group providing customer service above and beyond. By the time the day was out I had learned the technical details and specifications that designed the Ron House race board to be what was perfect for the conditions. That is not the end of the story. 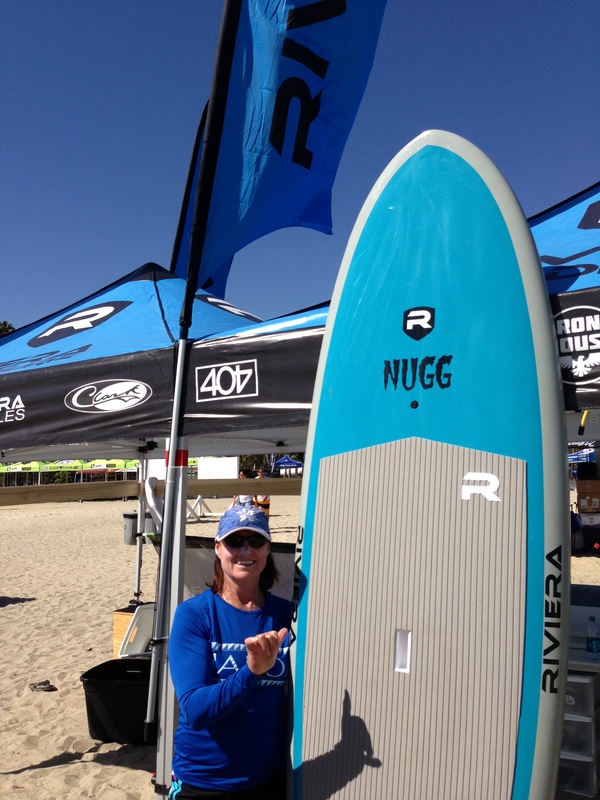 Mike made it possible for me to demo the Nugg on Sunday during the distance race. I surf regular foot and generally unless I take off on a steep left direction, I have to hop into “goofy foot” in order to dip my paddle and execute a turn from right to left. I was riding along on a nice swell that broke as I was going right. Looking over my shoulder I noticed it was building nicely to the left. Just that look left seemed to put a cut back in motion. I reached across with my paddle and dug it lightly in the wave to the left, stepped back just a bit and did a sweet cutback to the left. It was about the coolest feeling. Again and again and again I paddled out through the surf and got back in the lineup. It wasn’t until my lips were blue and my legs like jelly that I came back to shore. That sessions was the icing on the BOP cake! 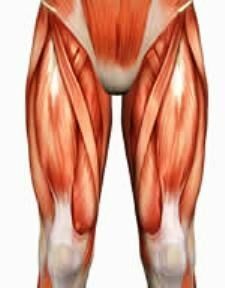 I am gaining new respect for the collection of muscles that make up the quads. After a full 5 months of paddling 90-120 minutes 5 X a week I imagined that I was in really good shape. I have been honing my technique according to insights, blogs and experts since late last spring. Driving the board forward with my legs while using the core, lats and good measure of “reach, dammit reach ala Dave Kalama” I really believed my fitness was balanced and solid. 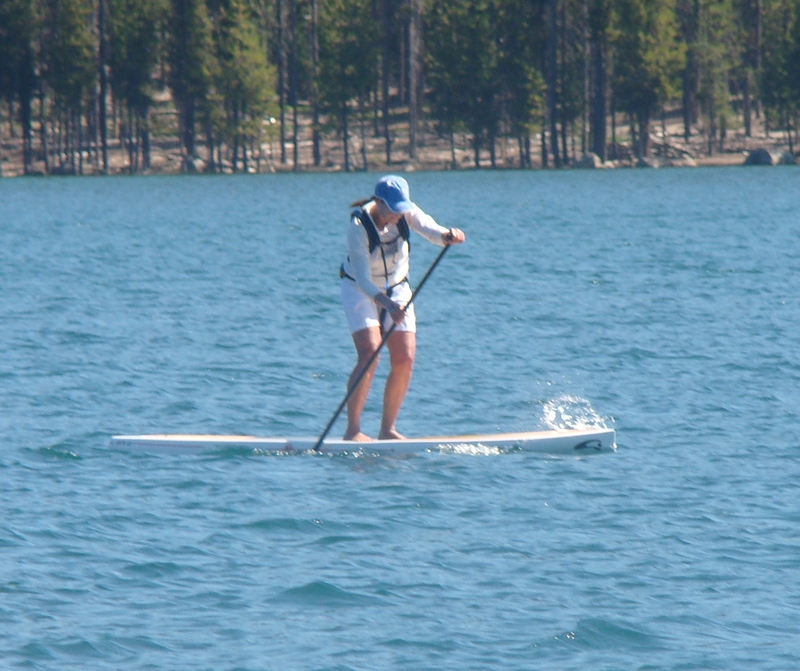 The summer included down wind runs across Odell Lake and a great experience at the Naish Columbia Gorge Paddle Challenge. It was a first time for me to SUP in the Columbia River. When the winds picked up to 30+ knots and the swells reached 5+ feet I actually felt ready. 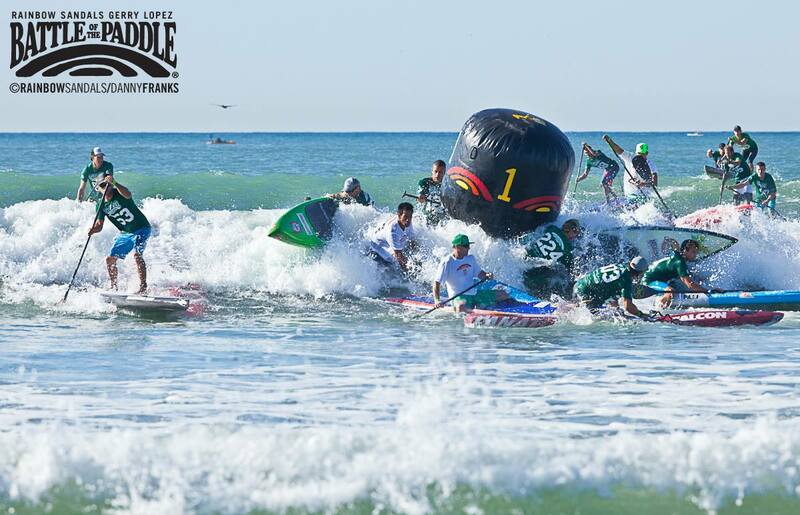 Deciding to race in the surfboard class instead of the 12’6″ raceboard class was likely a good decision. The only reason I put those results in there is to indicate that I was actually prepared and trained by late summer. 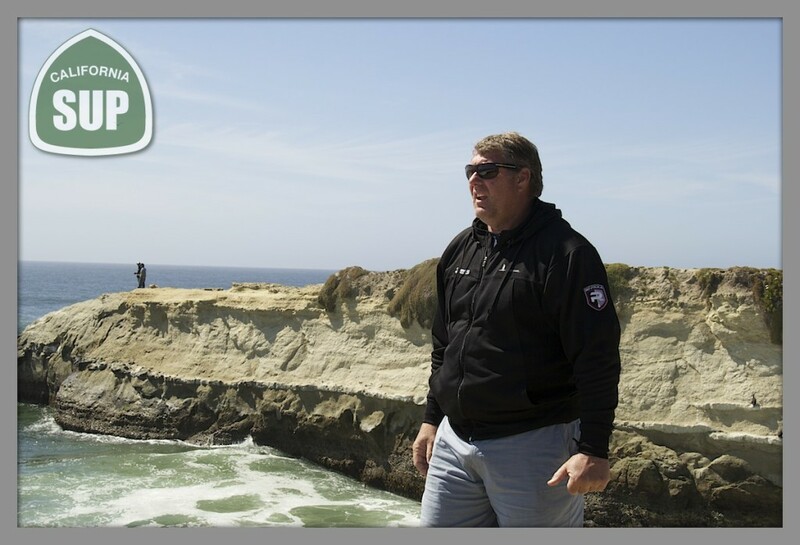 Building on that training, I decided to connect with Suzie Cooney of Suzie Trains Maui to stay fit all winter and to be ready to do the Olukai Ho’olaule’a in Maliko Gulch next May. Suzie suggested we get an Indo Board and Gigante cushion and the TRX RIP Trainer. So, on October 10, yesterday, I did my Beginner Workout with the RIP Trainer and then spent about 5 minutes doing a paddling move on the Indo Board (30 pulls each side X 5 sets). BY that night I began to feel that “sore but not hurting” sensation that indicates that a muscle has been sincerely worked. Oddly, in conventional strength training a particular muscle gets that feeling. In this case it was a total collection of seemingly equal fatigue and muscle soreness throughout the entire quad – front, inside, and deep in the central thigh. Oddly enough, even though I did not do any sit-ups or convention ab-work, my upper abs were also sore. This did not happen on the first two sessions with the TRX RIP Trainer. Interestingly enough, as my skill in setting up my position and neutral back became more effective, the range of muscles engaged increased. This morning dawned sunny and warm so I decided to head out to the river for a medium intensity 4 miles. Holy cow! Moving through my paddle stroke with care during the warm up and then with an intensity of about 60% of what a fast interval might be I could feel plenty of new muscles engaged. My quads let me know when they were working. Lats and upper abs, same thing. It was a challenge to do this relatively easy paddle as so many areas were soundly fatigued from the past 4 days of land training. This was great insights. As fall comes to Oregon and the freezing months of snow, ice and gray are due, it’s awesome to realize how sport-specific an exercise program done inside, in my home garage, can be. Can’t wait for the events and fun of 2013.